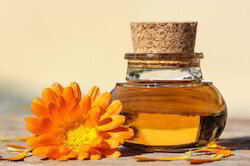 Botanical Sourc: Calendula Officinalis L.
We offer Marigold Extracts and pure herbal extracts that are directly extracted from the rare and organically grown herbs. Their preparation includes steam distillation and are free from chemicals. They are aromatic and are skin friendly. 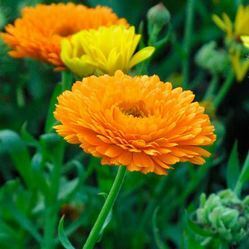 Botanical Source: Calendula Officinalis L.
Extraction method: super critical co2 extraction method. application in the following areas. - it induces glow on skin and helps to reduce wrinkles on skin.